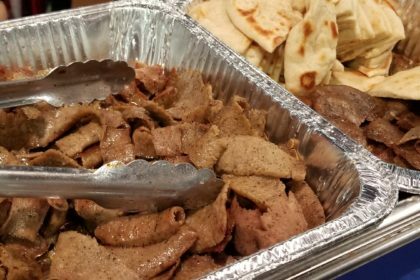 Carved beef & Lamb or Chicken Gyro Sandwiches. 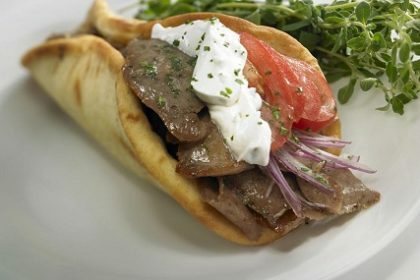 Freshly Carved Lamb & beef Gyro, a delightful Greek delicacy. 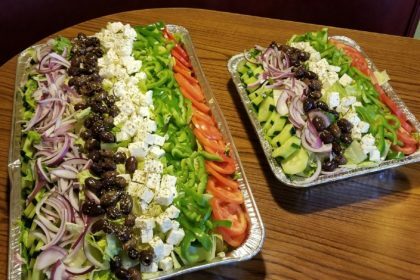 Half or Full Trays of Gyro, Add Greek salad, Pita with Tzatziki, Spanakopita and Dolmades. 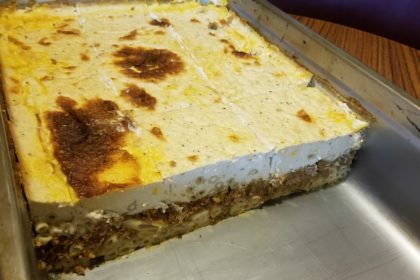 Half or Full Trays of Moussaka, Add Greek salad, Pita with Tzatziki, Spanakopita and Dolmades. 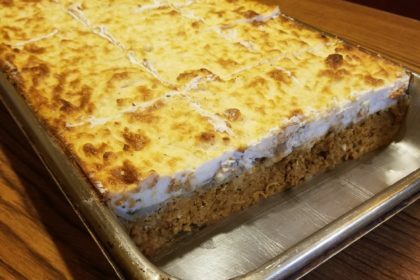 Half or Full Trays of Pastitsio. Add Greek Salad, Pita with Tzatziki, Spanakopita & Dolmades. Layers of Seasoned Beef, Cheese, Tomato Sauce With Impoted Greek Macaroni, Topped with Bechamel Cream Sauce. 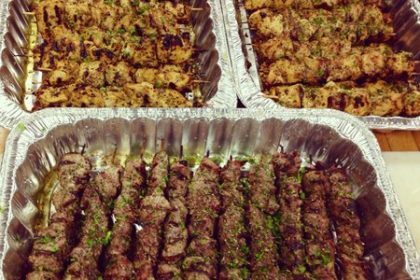 Half or Full Trays of Souvlaki. 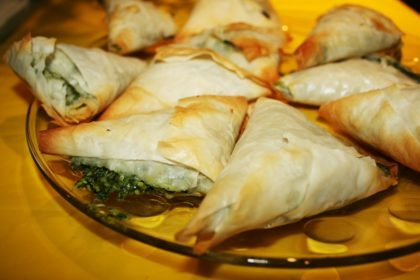 Add Greek Salad, Spanakopita, Pita with Tzatziki & Dolmades. Tender cuts of either (lamb, Pork or Chicken) skewered and marinated, then grilled on top of our seasoned grill. 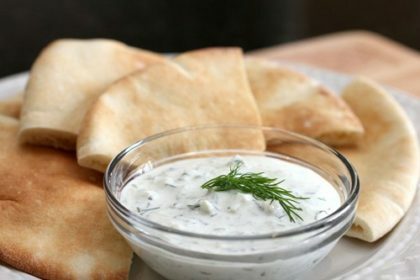 Grilled Pitas Served with our Homemade Tzatziki Sauce. 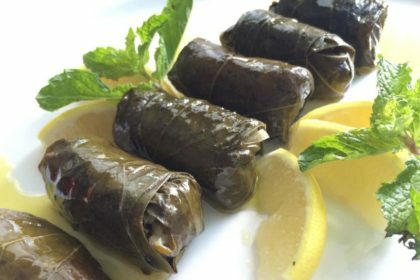 Stuffed Grape Leaves Served with Tzatziki Sauce.